Having the opportunity of attending the 6th Cologne Summer Academy on International Commercial Arbitration was a wonderful experience. This course was great for me and it fulfilled my expectations and introduced me very well in everything that should be known about arbitration. 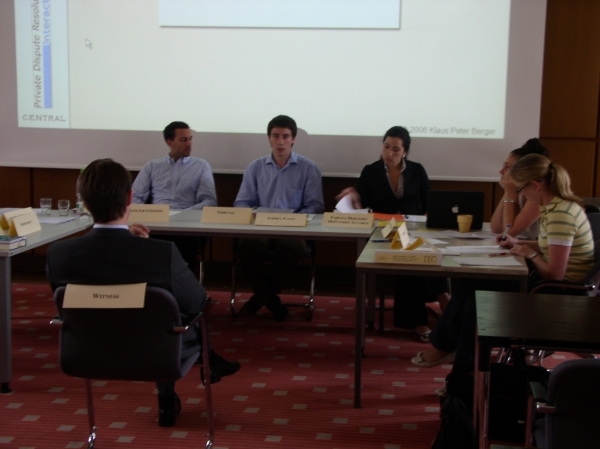 The teaching method was very dynamic, combining theory and practice about arbitration. The technique was providing the students with an arbitration case, using it as a tool in the lectures explaining all the aspects that develop throughout an arbitration. Lectures were given by different arbitration professionals. With Dr. Klaus Peter Berger, Stefan-Georg Hoffmann and Isabel Mulder we learned about arbitral institutions, dispute resolution clauses, arbitral proceedings, governing law and election of arbitrators. We also made a deep case analysis in order to understand which strategies and tactics should be applied to write the memorials and briefs. We were then guided by Constantine Partasides and Professor Berger focusing on the oral arguments, opening statements, legal submissions and closing speech. We also approached techniques of persuasion and the art of advocacy. Professor Martin Hunter, Professor Berger and Stefan-Georg Hoffmann led us through the presentation of evidence, witnesses and experts. Martin Hunter also spoke about many arbitration principles and how arbitral tribunals work. Finally, Dr. Stefan Kröll focused on the different types of awards and procedural orders rendered by the Arbitral Tribunal. The faculty"s lectures were of the highest quality and very comprehensible. This dynamic of having different instructors, with different approaches, was helpful to portray the different angles of arbitration. The material provided was very rich and full of the necessary information. Professor Berger"s effort on the Academy, with the assistance of Central"s team, made the course above expectations. It was really overwhelming having Professor Berger"s smile and sense of humor around during the course, I consider it helped make the course more enjoyable. Students had also the opportunity to know the city of Cologne. We had a delightful evening in the river Rhine in a boat trip were we could see wonderful views of the city and its marvelous Dome. In this boat trip, we met Professor Martin Hunter, one of the founders of this fantastic Academy. His support and contribution in it has been so important, that this year Central awarded him for his important contributions on the success of the academies. After my experience, I consider this as one of the best ways to get familiarized with arbitration. The course itself makes arbitration more understandable because the attendants are from different countries and jurisdictions, making it easier to understand the concept of arbitration and the international range of it.